Are you sick of spending money on make-up wipes that only get to the surface of your skin and using so many different make-up removers and face washes to try and get your make-up off each night only to end up with your eyeliner and mascara still being around your eyes the next morning? Well I have the solution! Face Halo! I’m sure you’ve heard about it or seen it in stores and maybe you’re a little sceptical but I’m here to tell you that it works! I’ve following Chloe Morello on youtube for years and when she uploaded a video explains how Face Halos work, I wasn't sure how much of it I believed.. I mean ONLY water to remove all your make-up.. seems a little too good to be true, right? But OMG I was seriously amazed to see how well it works! It’s all I use now for my make-up removal and has eliminated using make-up wipes, eye make-up remover and two different face washes. 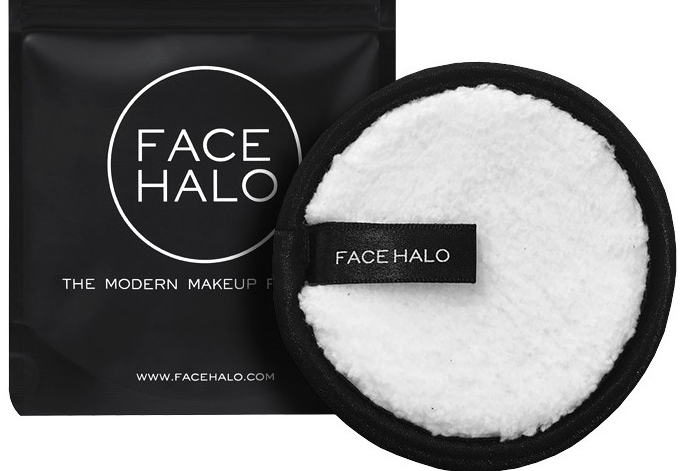 Not only does the Face Halo help to eliminate all those messy make-up wipes, they are amazing for sensitive skin! I’ve always struggled to get make-up wipes and face wash that doesn’t cause me to get eczema and ended up resorting to baby wipes since they’re as sensitive friendly as possible but they aren't exactly made for getting all make-up off and only really got majority of my foundation off after using 2 or 3. But with the Face Halo I don’t need to worry about reacting to anything since all you use is water! And thank-fully I’m not allergic to that! I think the other obstacle that put me off to begin with was the price.. the pack is $30 AUD, but after you take into account that you get 3 and they’re re-usable and washable so you don’t really need to buy more. It’s such a money saver! No more spending money on make-up wipes, no more eye make-up remover, and one less face wash for me, means that Face Halo is more than worth it! If you are still sceptical than take a look at these photos I took early today, I made sure to do my make-up to the extreme, going-out, wedding, party, full face glam, to fully show the magic the Face Halo does. I even adding more eyeliner than I usually would wear but still ended up with none left over. And even better, you can just keep it in the shower, so you don't have to make sure to get your make-up off before you get in the shower, just do it in there. Of course, I still wash my face after, I use the Face Halo and then wash my face. It’s just eliminated the make-up (or baby in my case) wipes and the other face wash I used before the wash I am still using. With all that said I think the one thing I wasn’t expected but was a pleasant surprise was that my skin has actually cleared up since using the Face Halo. 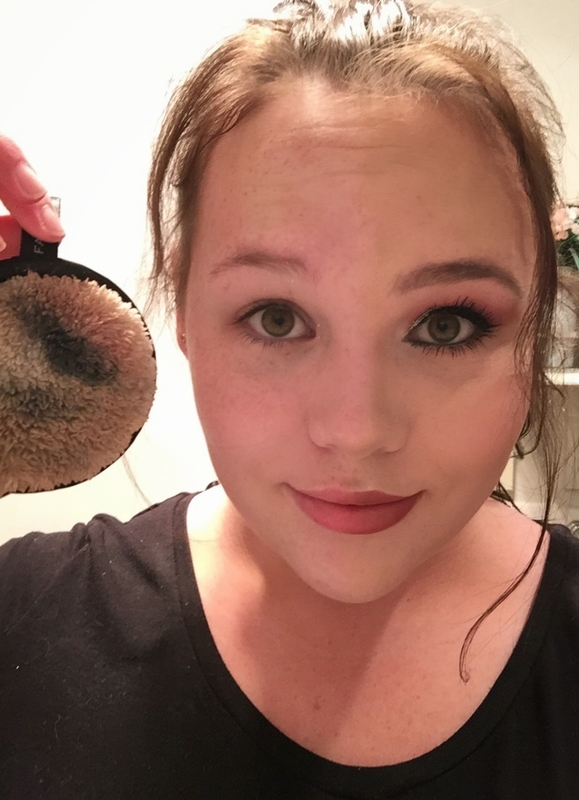 I don’t know if it’s because the micro fibres of the Face Halo are cleaning deeper than what a make-up wipe would or if it’s because I”m not using so many different chemicals on my skin. But either way, it’s amazing and I’m loving it. Face Halo really works a wonder, with just water, it removes all your make-up without you having to scrub at your skin, just gently wiping it over your face removes ALL your make-up and you don’t have to worry about that black smudge under your eyes the next day. I couldn’t believe how well they work and would most definitely recommend it, I think I’m even going to get some for friends’ Christmas presents!! Go down to Priceline or go on their website and you too will be amazed with the results!